Who is Big Chief’s new Girlfriend After Divorce From Wife - Allicia Shearer? Who is Big Chief’s New Girlfriend After Divorce From Wife – Allicia Shearer? It is almost becoming a norm for celebrity marriages to tank. Although it is difficult to speculate the reasons why this happens, one lesson that may be drawn from all of it is that we can be married to our career or that special someone but we may not be able to have them both. Like many other celebrities, the marital fall-out between Big Chief and his wife Allicia Shearer started off as a rumour until it eventually became a reality that their marriage of about a decade long was set to crash. Despite his efforts to keep his private life away from the public eye, the news about the Discovery Channel’s hit show star leaving his wife still managed to reach the airwave and many fans have been wondering why they separated and, most importantly, who he is currently dating. Read on to find out. Justin Shearer alias Big Chief is a well-known figure in the world of racing. The reality television star has already accomplished so much for himself when it comes to racing, modifying and maintaining cars. He is currently known for his role in the Discovery Channel’s series Street Outlaw which is likened to the Fast and Furious. His dangerous riding skills have earned him a place in the heart of many car race lovers. The reality TV star met Allicia when he was just 18 years of age. At that time, he was working as a gas station attendant. He apparently fell in love with the beautiful Allicia whom he saw passing at the same station. The two got married on December 29, 2006, and were blessed with two children namely Corbin Shearer and Covil Shearer. Big Chief and Allicia began to receive media attention following the rumours of their divorce with many accusing him of having an extramarital affair with a fellow car racer. While confirming the divorce, Justin also cleared the air on his alleged flirting with women. He said during an interview on The Chief and Shawn show that the rumours about him cheating on Allicia are false but he failed to further explain why they were going their separate ways. Allicia filed for a divorce and it was finalised in May 2017, according to Big Chief himself. Speaking on how his divorce from Allicia will affect his two sons, the car-racing star said although he is still determined to be the best father to his sons, his busy lifestyle keeps him away from them. Commenting on how badly he felt for his children, the TV star took to his Instagram page to say he wished he could spend more time with his sons and not bury himself in his career. He admitted he stands the chance of regretting not spending quality time with his children as his career has completely taken over his life. Big Cheif and Allicia will be sharing the custody of their sons but it seems they would be staying with their mother since their father is often busy with work. Who is Big Chief’s New Girlfriend? When the news about Big Chief’s divorce broke out, many blamed Jackie Braasch for crashing the celebrity’s marriage of over one decade. While condemning a growing criticism against him and his future girlfriend, Big Chief was bold enough to speak to the public about his new and controversial love interest, Jackie Braasch. Jackie is Big Chief’s co-car racer and a member of a motorsport organization for women known as Car Chix. 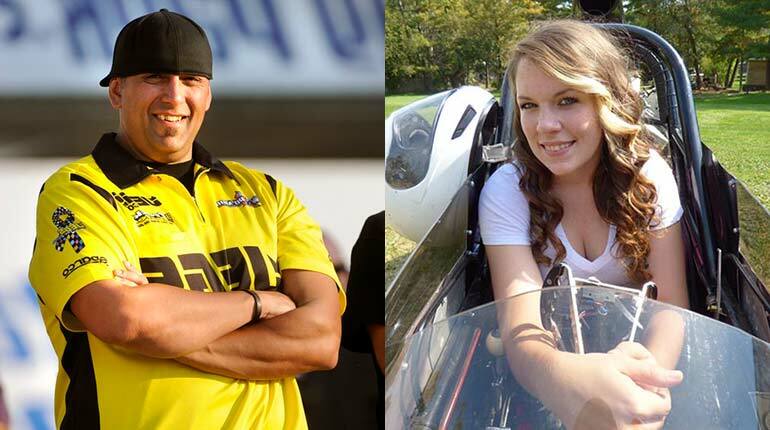 Although she keeps a very low profile on social media, information from the organization’s website has it that she belongs to a family of drag racers and that she has been racing since she was eight years old. Jackie’s biography on the site also states that her father who has been into motorsports since he was young built his ’85 Chevy Camaro the year she was born. Big Chief and his new girlfriend seem to be happy with each other. Shortly after his divorce from his first wife Allicia, the reality star shared a picture of himself and his new girlfriend, stating that he is glad his ex-wife and his girl are getting along quite well.